Mind Ur Step. A unique international dance production consisting of 11 urban dancers and 3 top choreographers from The Netherlands, Germany, France, and Belgium. With artistic direction of Nabil Ouelhadj, Lloyd Marengo and Kader Attou the dancers work on an urban dance production that will tour through Europe. Mind Ur Step. A unique international dance production consisting of 11 urban dancers and 3 top choreographers from The Netherlands, Germany, France, and Belgium. With artistic direction of Nabil Ouelhadj, Lloyd Marengo and Kader Attou the dancers work on an urban dance production that will tour through Europe after the Premiere during Shake Festival (nov 2018) in Kader Attou’s homebase, CCN in La Rochelle (FR) . Separate to Connect. Our urban dance production in the making is focused on urban dance in it’s purest form. We honour the roots of Hip Hop and find strength in simplicity. 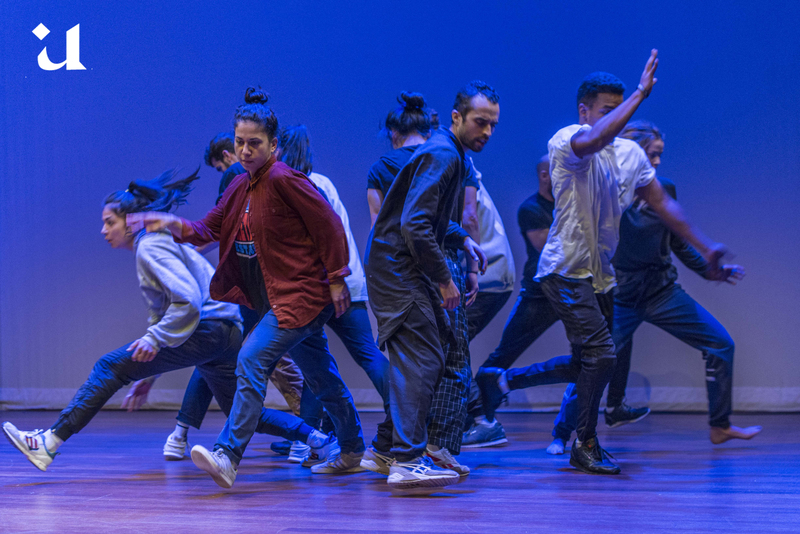 During the kick-off residency in Rotterdam, the dancers and choreographers met each other, found a common flow and the first creations were made. Guided by coaches from the theatre world the dancers will separately work on their story until the summer and will be reunited in Germany during an intense 2 weeks residency. Reconnected, the separate stories will join forces. Connecting urban dance and theatre. Mind Ur Step is an international partnership of bridge builders from urban dance and theatres. The scenes have already found each other occasionally, but now it is time to build a sustainable cooperation. The creative process is strengthened with personal coaching programs for the dancers, research, and debates. Mind Ur Step encourages all parties to think about the next steps on the dance floor, the path from performer to choreographer, from street to theatre and opening doors for a new generation. Mind Ur Step is an initiative of Roots & Routes (NL) in cooperation with Maas theater en dans (NL), KVS (B), Roots & Routes Cologne (G) and Cie Racines Carrées (F). Mind Ur Step is co-funded by Creative Europe, Fonds Podiumkunsten and Gemeente Rotterdam.